ella & otto believes in quality and style. It stands for eye-catching contemporary design and the highest quality fabrics for children growing up in our modern world. The bedding range allows parents to extend the contemporary styling so popular in our homes into the nursery and children's rooms. The products and colours are fresh and clean, taking inspiration from the founder's Scandinavian roots. Statement prints are appealing and interesting to a child's eye. ella & otto's designs complement the modern home. 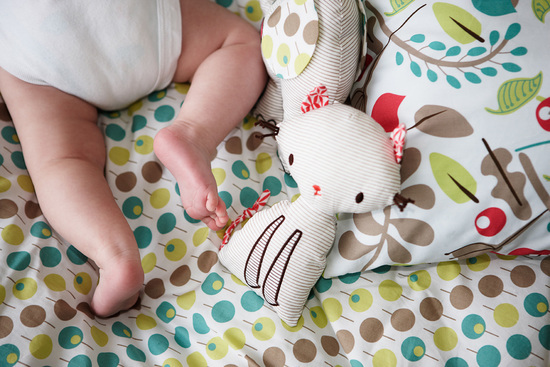 The ella & otto range is ever expanding from its first baby bedding products. New statement prints are brought out each year. This year we have added an organic sleepwear range, and five fabulous animal doll rattles who are best friends!